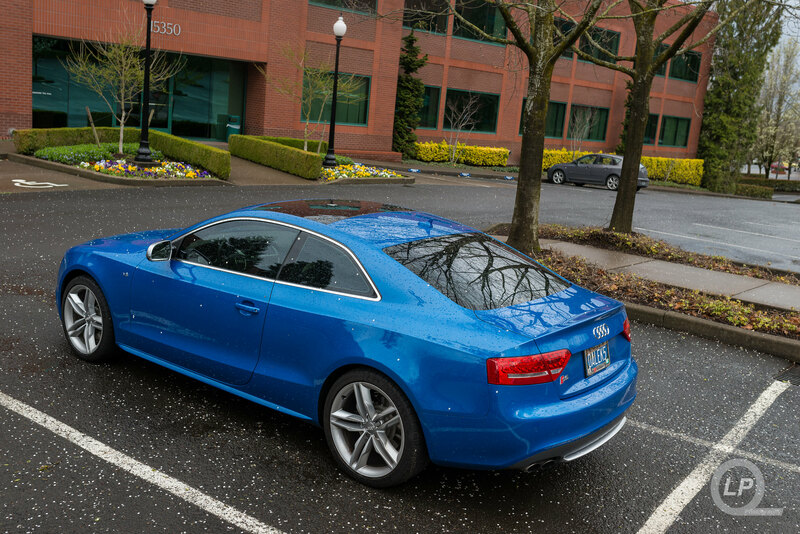 Five years ago today, on Friday, August 27th, 2010, I stopped by Sunset Audi Beaverton to sign the last set of papers and to get the keys to my 2011 Sprint Blue Audi S5. 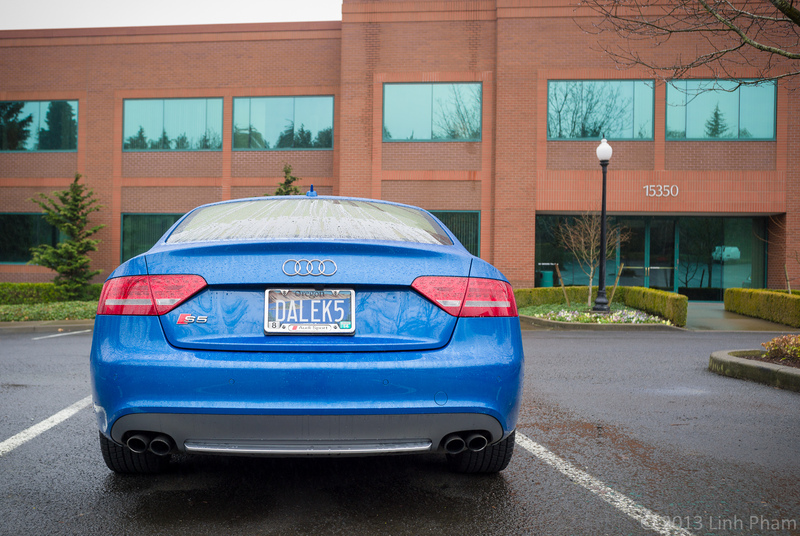 Each day that I see my Audi S5, be it as I look out of the window in the morning, walking out to it after work, or driving it around the Pacific Northwest, I crack a smile and my heart skips a beat. 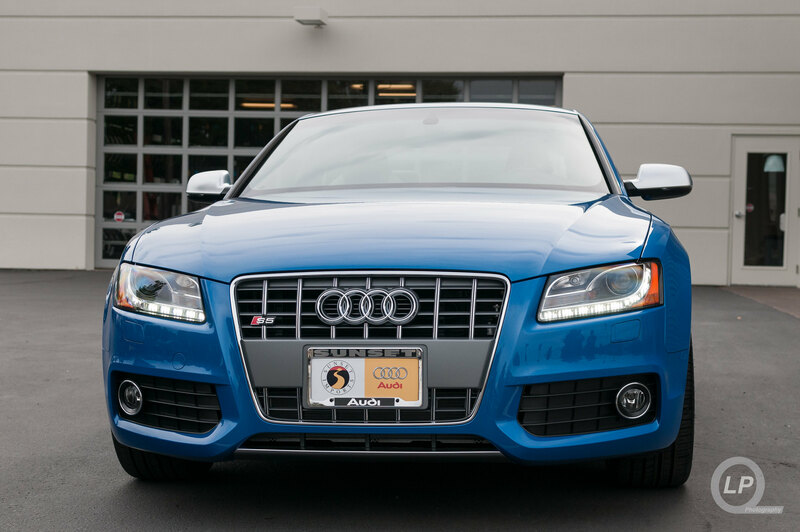 Even though there are the Audi fans that strongly fall into the Nogaro Blue camp or the Sepang Blue camp, neither of them stir the same emotions as seeing Sprint Blue on a pre-facelift S5 like my own. I have racked up over 41,000 miles and have enjoyed nearly all of them while in the driver’s seat, all snuggled into the “panda” themed black leather and “silver” Alcantara seats and rowing through each of the gears. Between having a heavy right foot, a tendency to hand on to gears a little longer than optimal for fuel economy and the thirsty V8, the average fuel economy is at around 16.5 MPG. Also, having a city-like driving pattern for my commute does not help. Over the five years, the S5 has had a couple of things that have come up and needed to be replaced, all but one were covered by service bulletins or by warranty. The one that was outside of the normal warranty, which was a cam position sensor that caused the EPC light to come on either when getting within 1500 RPM of red line or if I didn’t downshift a gear when going up a hill. The sensor was replaced and most of the cost was covered by the Audi extended warranty packages that I purchased soon after getting the S5. The S5 has gone through not only the original set of Pirelli P Zero Rosso tires, but also a set of Michelin Pilot Super Sports. The latter wasn’t due to wear and tear, but rather a combination of a puncture repair failing and one of the other tires had some tread damage due to road debris. Since I had purchased the set of Michelin tires through America’s Tire (now Discount Tire), the set of four were replaced and a portion of the cost covered by the mileage warranty that came with them. In addition to the Michelin tires, I have a set of winter tires and wheels that I try not to use due to their poor grip and wear during mild winters; and, not to mention, the horrible ride they have due to the tires being (sigh) run-flats. Never again. Even though it is always fun to look at new cars and dreaming about owning an Audi with an RS badge, or even a sleek S7, I will be hanging on to my S5 for a few more years. It will be interesting to see what the B9 generation brings to the A4 and A5 family, not to mention what may come with the next generation SQ5 (that was some hesitation and resistance in typing that). 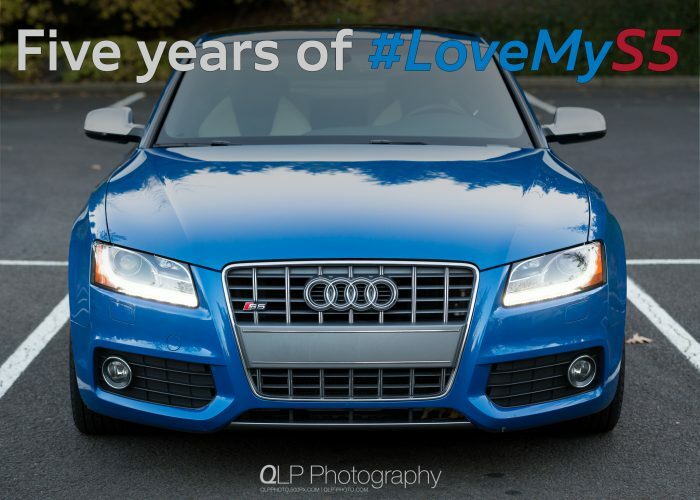 Until then, I will continue to love and drive my Sprint Blue Audi S5.